Stable Legacy POS Management Systems for Restaurant and Hospitality. 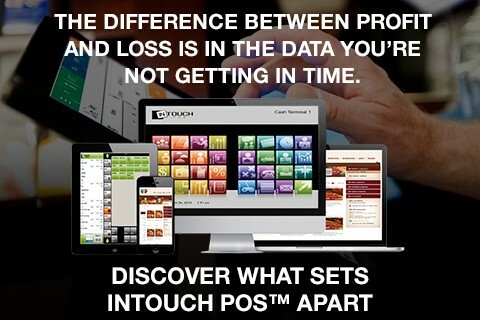 Whether you are an independent or Chain Multi-Unit Operator, InTouch POS is the only system you will need to invest in to manage your business. Discover how InTouch POS wealth of experience and up to date technical solutions give you the best control of your Back Office Management along with a complete intuitive, user-friendly Front End System.